Just as Uber has encountered resistance in cities across the globe -- and was subsequently banned in the entire country of Italy -- Airbnb is now facing regulatory backlash that's seeing bookings cancelled across every listing in Japan. According to a report in Nikkei, a new amendment in the country's Hotels and Ins Act requires all Airbnb listings to register with the government. 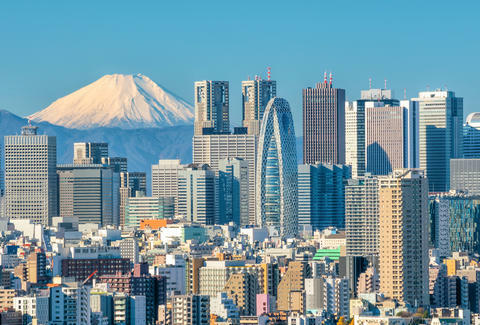 The unexpected move on June 1 has prompted a sudden decline in the number of Airbnbs operating in the Japanese market: Around 60,000 listings were operating in the spring time, but given news of the impending amendment, 80% of Japanese Airbnbs have been taken off the website. Now, Japan maintains around 14,000 listings, per Nikkei. If Airbnb hosts register with the government before the June 15 deadline, they'll be given a 180-day operating period to rent their property. Yep, Airbnb listings will only be operable for roughly half the year. To compensate for the sudden cancellations, Airbnb has allocated $10 million to help travelers who may have seen their reservations evaporate overnight, coupled with a promise of full-refunds for any cancelled reservations. In a statement on its website, Airbnb noted the sudden amendment "put the travel experiences of thousands of visitors to Japan at risk." The company says the Japanese Tourism Authority "indicated that we are required to cancel reservations at listings without a license number – no matter the hardship on hosts looking forward to sharing their homes or guests excited to travel to Japan." Now, only listings that bare the mark of government approval will be operable, as hosts will have to "display a license number on their listing page," the company notes.